This article will teach you how to find keywords for SEO. The right keywords can make or break your website. There is no point ranking for a search query that no one searches for. Furthermore, if you are ranking for a search query that attract visitors that aren’t interested in your websites content, it is just as wasteful. The key to choosing your keywords is finding words that get searched frequently by your target audience. Not only will keyword research help you to understand what search queries to target in you SEO campaign, it will help you get a better understanding of your target audiences wants and needs. Keyword Research can reveal a lot about your target market and ways to better engage with them. When Keyword research is performed correctly it can predict changes in consumer demand, changing market conditions, and allow webmasters to produce web content that people are actively looking for. The use of keyword research has given business owners an unprecedented ability to understand the motivations of their consumers. Although the application of keyword research sound great, it can be a difficult task to implement if you’re new to SEO. This article aims to teach beginners how to find keywords for SEO. Different keywords will provide different levels of value to your business. For example, if you own an Accounting Firm in Sydney, ranking for the search query ‘Accountants Sydney’ will result in a lot of potential customers visiting your website. This isn’t the only search phrase potential customers could be making, they could be searching phrases like ‘Tax Accountant Sydney’, or ‘Accounting Firms Sydney’. Ranking for the above keywords would provide a lot of valuable website traffic. However, due to the high search volumes they would be very competitive and hard to rank for. In comparison, search phrases such as ‘how to prepare a tax return’ or ‘free tax filing’ would provide little value in ranking, since the people searching are not potential customers. Consider the search phrases in the first image, obviously ranking for these keywords would provide a lot of value to a business. However, they would be very difficult to rank for them in the early days of your SEO campaign. The good news is these types of search phrases only makes up about 30% of searches made. The other 70% of search phrases are long tail keywords. Long tail keywords are search queries that have more than four words. The benefit of long tail keywords is they are a lot easy to rank for and can provide valuable traffic to your website. For example, the search phrase ‘how to choose an accountant’ is searched on average 140 times per month. 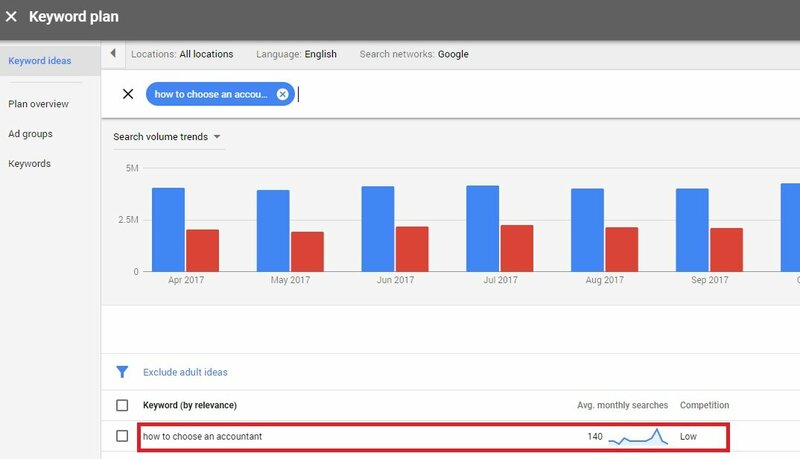 The good thing about this search phrase is we know the person making the search query is looking for an accountant, are there is very little competition. 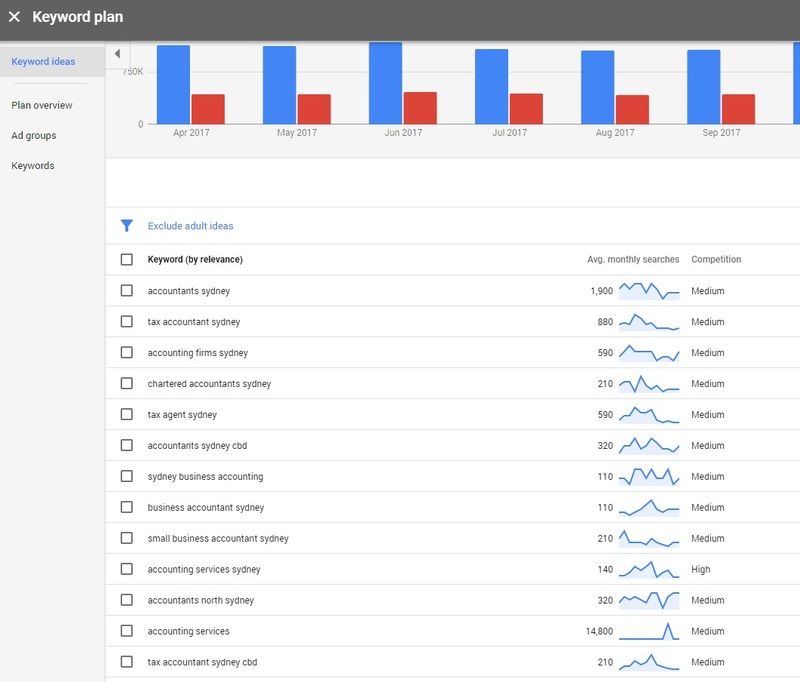 In addition to this, ranking for this keyword would increase website traffic and help with rankings for primary keywords such as ‘Accountants Sydney’. Keyword research is the process of researching the actual search volumes of keywords. The goal of keyword research is to find keywords that your potential customers are making, that are also easy to rank for. If you’ve arrived at this page to learn how to find keywords for SEO, then this is the section that will help you most. The first step in the keyword research process is to brainstorm some keyword ideas. The best way to do this is to make a list of primary keywords and long tail keywords. For example, for the primary keywords, list the variations your potential customers are likely to make to find your business. For example, a Dental clinic in Sydney could list ‘Dentists Sydney’, ‘Sydney Dentists’, ‘Dental Check up Sydney’, ‘Sydney Dental’, ‘Tooth Whitening Sydney’, ‘Veneers Sydney’ etc. for their primary keywords. To find your longtail keywords, make a list of frequently asked questions your customers make. Using the dental example again these could be phrases like ‘how often should I get a dental check-up’, ‘why do I have a toothache’, ‘should I get my teeth whitened’, ‘how to tell if you need a dental filling’ etc. Try to list as many of these as possible. 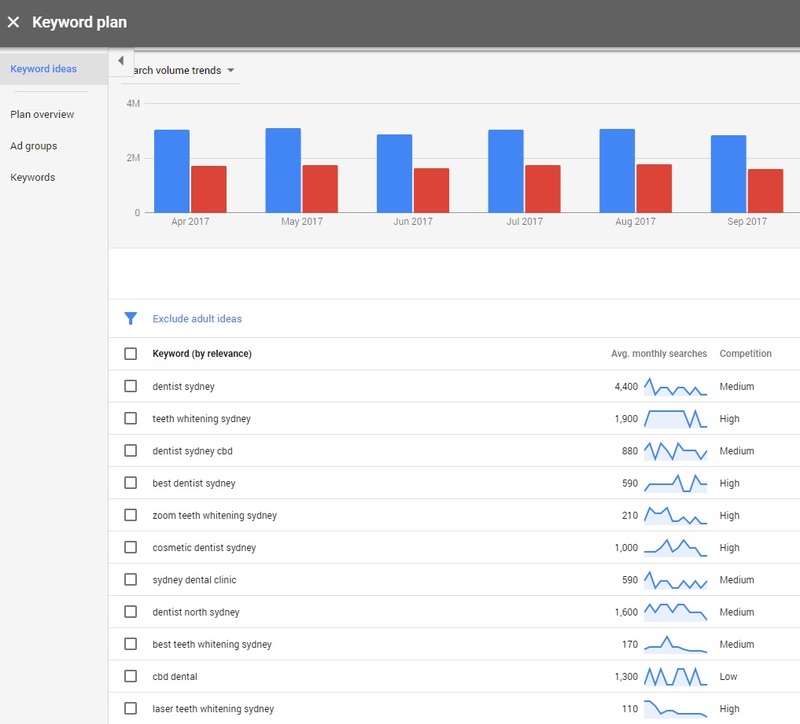 Google keyword planner will then display the search volumes for the keywords you entered as well as keyword ideas. If necessary, you can select a location to get search volumes from certain cities and states. Are search phases your potential customers are likely to make. Once you have narrowed down these keywords search them in Google to find the websites that are currently ranking. If large companies or franchises are ranking for those keywords, it not a good idea to add them to your campaign. This is because they are probably paying an agency to handle their SEO and will be hard to compete with. If the business that is ranking first for these search phrases are a similar size to your business, then chances are they are not paying for SEO and if they are, they are probably on a basic package that could be out ranked with some basic SEO of your own. Continue this process for all the keywords in your list. 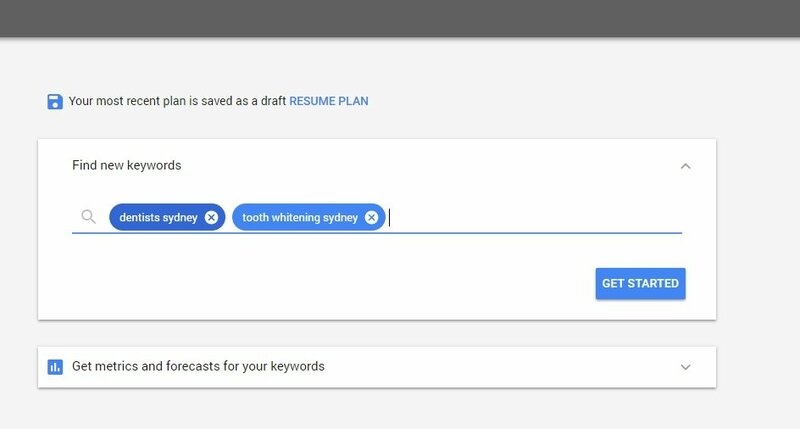 Your goal should be to build a list of primary keywords for all your product and services, as well as a list of at least 15 long tail keywords you could write a blog post on. 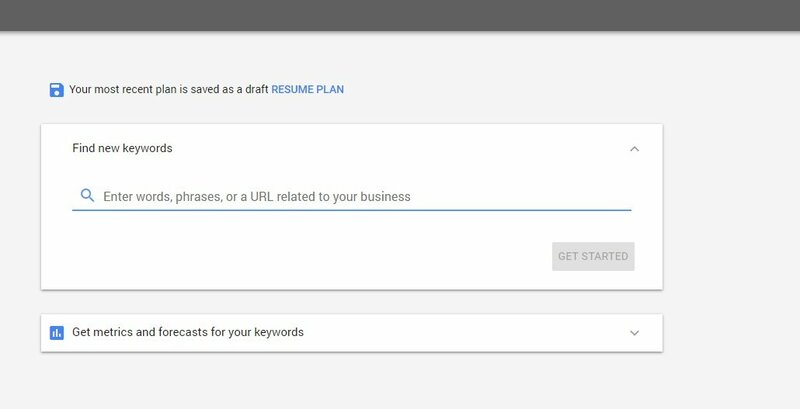 If you have done this and are still struggling to find keywords, you can enter the URL of one of your competitors into keyword planner. This will give you a list of keyword ideas that the website uses. If you don’t know how to find keywords for SEO then this is probably the best way to get new ideas. This conclude our guide on how to find keywords for SEO. The process of finding keywords for SEO can be boring and monotonous, but it is important to put the effort into keyword research. Overlooking basic keyword research can result in SEO efforts being wasted. If you have any questions on how to find keywords for SEO, please contact us here.